Do you like my new letter board series? Do you like my “10 Things” series? Should I quit, or keep going? 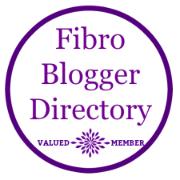 For more inspiring quotes or information on fibromyalgia and chronic pain in between my blog posts, follow @photobaugh on Twitter Instagram and Pinterest. Followed you! 😉 Yes one of the worst part of spring and fall in Texas is the up and down temperatures! I saw that! We are neighbors! Well, you’ve certainly been busy, I’m just sorry there’s been so much stress and difficult times. I’m especially sorry about your mum and dad with their own health conditions; I’m glad you’ve been able to see them as regularly as possible, they’ll be glad to have you there when you’re able to be. Happy Anniversary! I know that’s a little late, but I think you should have a delayed celebration one day when you’re feeling a little more up to it, just for a few hours to do something lovely, just for the two of you. With all you’ve got going on, I’m amazed you’ve written up such a great round-up post! In answer to your questions..